Prior to the late 18th century the area where Dolphin Square now stands consisted of frequently flooded meadowlands known as Tothill Fields. It was used as a common for a variety of purposes including grazing, bull and bear baiting, duelling and the occasionally burial. By the end of the 18th century the area had come to be used as gardens, stretching out along the riverbank, providing one of the single largest areas to grow vegetables in central London. 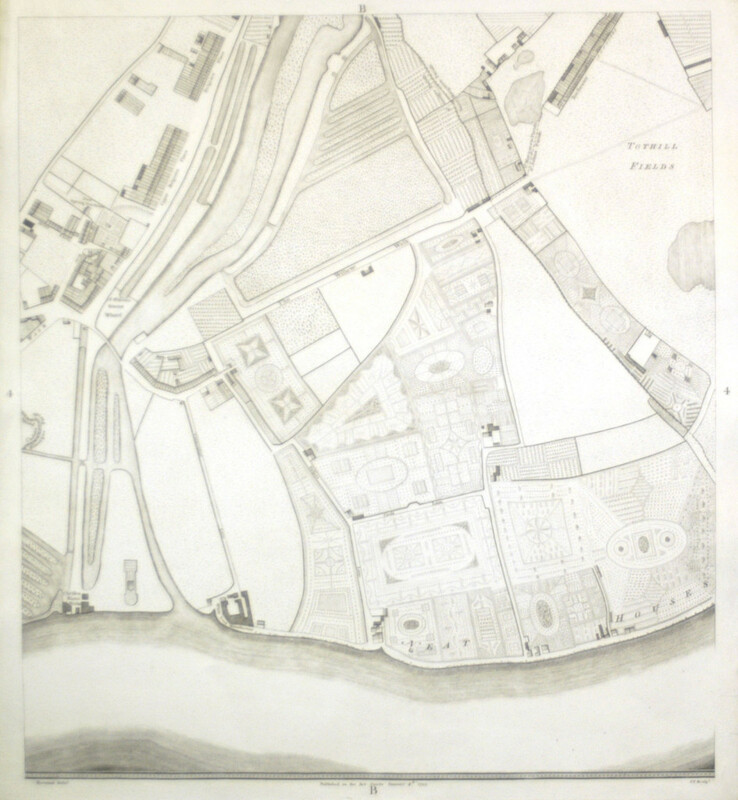 In 1807 the Earl of Westminster gave a long lease of land along the river to engineers Hunter and Bramah. Joseph Bramah was a significant figure in engineering, best known for inventing the hydraulic press. Hunter and Bramah established a steel works just beyond the conservation area boundary. Just ten years later John Johnson, a stone merchant who intended to develop the area, bought the lease. He was unsuccessful, however, due to continued obstruction from the market gardeners. By 1825, a frustrated Johnson sold the remainder of the lease to architect Thomas Cubitt. Cubitt had ambitious intentions for the area, and had planned the development of what is now known as Pimlico. To realise his grand project he first constructed an enormous complex of workshops on the Thames bank and draw dock (a lined and gated inlet off the River Thames) in 1839. He also sought permission to withdraw water from the river through a 12-inch pipe to power a steam engine for his workshops. The workshops were built in several stages and by February 1842, there were three ranges of buildings. A long symmetrical workshop building consisting of three square portions joined by two long ranges of buildings down the central part of the site. A range of stabling and other workshops was built further west and finally, one isolated block. By January 1845 the works occupied an eleven acre site between the ground appropriated for the west side of St George’s Square and the street laid out as the southern continuation of Denbigh Street, Lupus Street to the north and the river to the south. 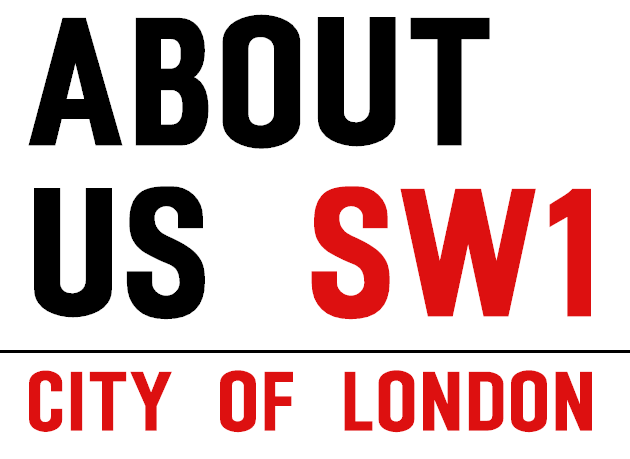 The works produced joinery, glass, plasterwork, steel and marble, as well as some of the bricks and cement for the various building operations undertaken in and around Pimlico, using the latest steam-driven technology. The majority of the bricks Cubitt needed were brought by ship and unloaded at his docks. However, in August 1854 a big fire destroyed large parts of the workshops. 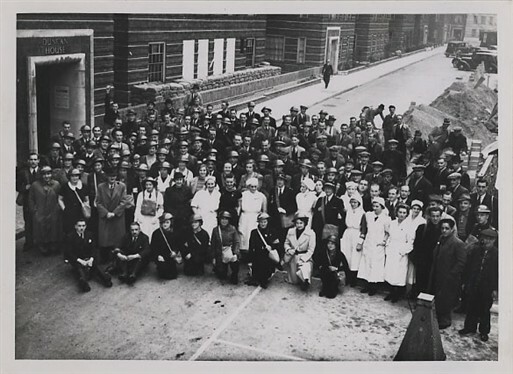 When Cubitt died in 1855 most of the works were leased to the War Department and were turned into a factory to produce uniforms and clothes for the British army. At the end of WWI, however, there was much need for new housing in the area. Following the closure of the factory, the Frederick French Corporation of America agreed to buy the freehold for the site from the Duke of Westminster. 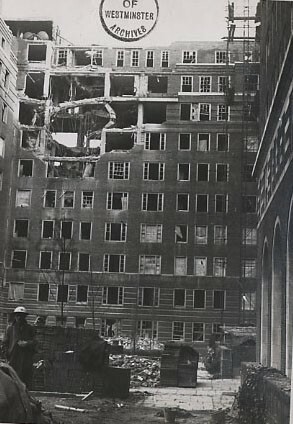 The corporation planned the construction of Ormonde Court, a large residential development, but following financial problems the project was handed over to Sir Albert Costain. 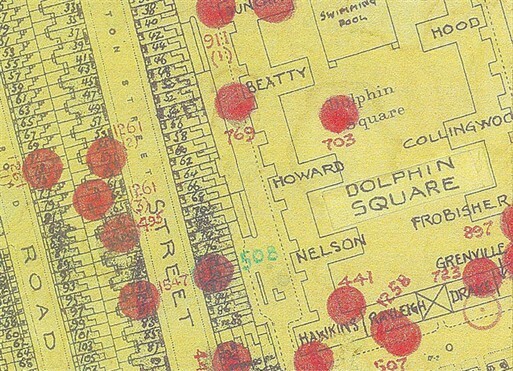 Dolphin Square was planned as a “high class” modern residential complex in the 1930’s, complete with shops and other facilities. It was designed by the architect Gordon Jeeves, jointly with the engineer Oscar Faber and built between 1937-38. At the time it was the largest block of flats in Europe, built on a 7.5 acre site. The accommodation comprised 1,310 flats accommodating around 3,000 residents. It was planned as several larger houses grouped around an internal courtyard. Within the courtyard the design included open gardens and a recreational centre with squash courts, a swimming pool, gymnasium, restaurants, bars, a winter garden and a palm court. Other amenities provided were various shops, luggage rooms, valeting service, a beauty parlour, laundry depot, a theatre booking office, children’s centre and nursery, a library and music room. The complex also provided 30 guest bedrooms on the ground floor of Keyes House near the shopping arcades. The original design was to include a stepped garden on the opposite side of Grosvenor Road leading down to the Thames, with its own jetty. The Square’s unusual name can be attributed to an uncle of Sir Albert Costain. On visiting the Costains in London, the uncle, headmaster of a school in Colwyn Bay, mentioned that his school magazine was called ‘The Dolphin’. He suggested Dolphin Court as a name for the development, but due to the layout of the buildings Dolphin Square seemed more appropriate. It was decided that each block or ‘house’ would be also be named along a naval theme, taking the names of naval figures who played significant roles in the United Kingdom’s maritime history. Some names are instantly recognisable such as Nelson and Drake whilst others are less well- known. The flats were luxurious and incorporated many innovations. One unique feature was the provision of its own water supply from four boreholes, from which water was abstracted and pumped to reservoirs in the gardens and tanks on the roof of the buildings. The development endured an eventful Second World War with 13 bombs hitting the Square during the Blitz causing considerable damage and the loss of 12 lives. Furthermore, Grenville House was occupied by General De Gaulle’s Free French HQ; the garage became an ambulance depot; and the gymnasium was transformed into a hospital. Air raid shelters were provided beneath Frobisher House. Today, Dolphin Square is an apartment complex, home to students, business people and politicians who work in nearby Westminster. 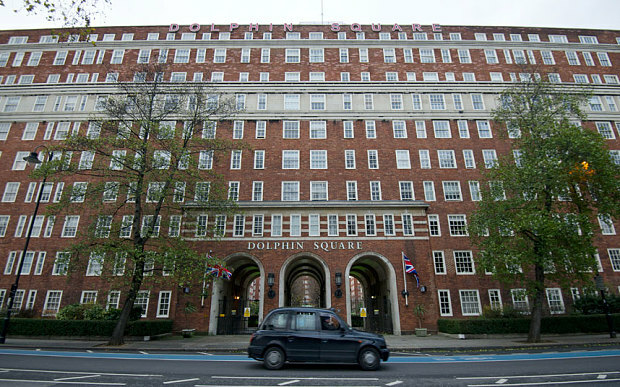 The proximity of Dolphin Square to the Palace of Westminster and the headquarters of the intelligence agencies MI5 and MI6 has attracted many politicians, peers, civil servants and intelligence agency personnel as residents. Politicians to have lived in the development have included Harold Wilson, David Steel, William Hague, Estelle Morris, Beverley Hughes, Michael Mates, Sir John Langford-Holt, Iain Mills, and Terry Dicks.